Dental Survey Results: Are You a Wealthy Dentist? Dentists are commonly perceived as wealthy. In this survey, we asked dentists if they consider themselves wealthy – and two out of three dentists said no, they are not in fact wealthy. "While my income may be in the top 10% of wage earners, my debt is high, and it is a struggle to fund my retirement goals," wrote one dentist, echoing the feelings of many respondents. General dentists were somewhat less likely than specialists to consider themselves wealthy. 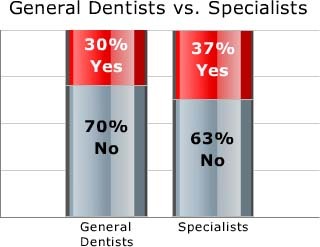 Specialists, on average, earn slightly more than their colleagues practicing general dentistry. Geographic location was not highly correlated with dentists’ assessments of their wealth. 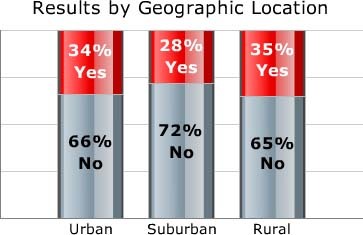 However, suburban dentists were the least likely to classify themselves as wealthy. 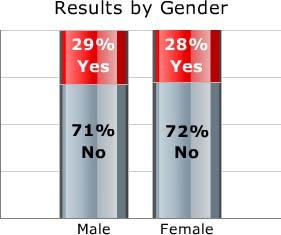 Male and female dentists had nearly identical assessments of their financial situations. “I have a great wife and son. I am healthy, just turned 50 and biked 100 miles solo in six hours. I still have goals to achieve, and I don't have a grasp of what money I do have, but I want for very little. My only expenses are day-to-day living and my home mortgage.